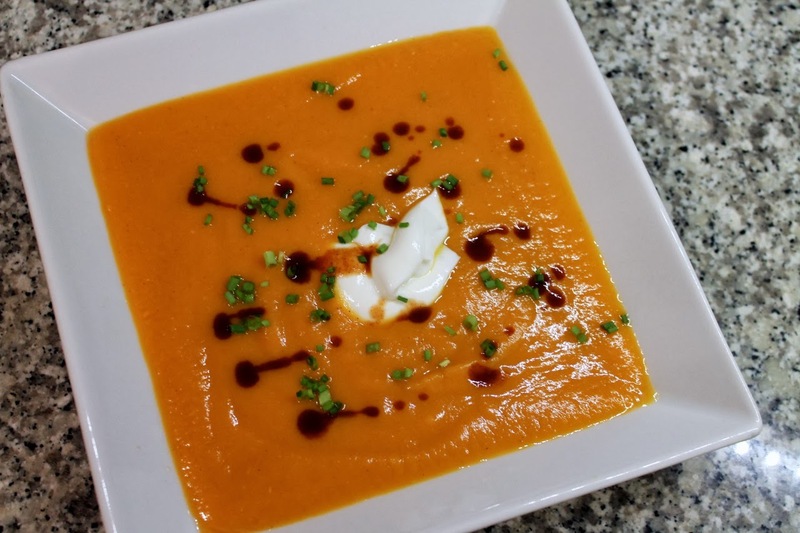 Fall and winter vegetables lend themselves to pureed soups so well. I suppose because they're orange, sweet potatoes and butternut squash feel interchangeable to me in many recipes. Like the Smoky Butternut squash and Apple Soup I made recently, this pairs sweet potato with pear. It's a pretty simple soup that comes together in under an hour. For a nice smoky-spicy kick, sprinkle it with Tabasco's chipotle hot sauce. 1. Heat olive oil in a Dutch oven or large soup pot over medium heat. Add sweet potatoes, pears, garlic and ginger, season with salt, and sauté mixture for about 5 minutes until aromatic and the potatoes start to soften around the edges. 2. Add cumin, cinnamon, smoked paprika and chicken broth. Increase heat to medium-high and bring mixture to a boil. Reduce heat to medium-low and simmer, uncovered, for about 15 minutes until the sweet potatoes are soft. Puree mixture using an immersion blender or transfer in batches to puree in a blender. Serve in shallow bowls topped with a dollop of Greek yogurt, a sprinkle of chives and, if desired, a few squirts of smoky hot sauce. This was very good! I like the combination of the spicy and smoky flavors.